Delecia Woods is a Senior at Western Connecticut State University studying Vocal Performance. In addition to singing, she also has over 20 years of dance experience. 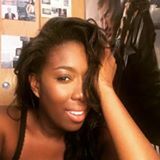 Delecia teaches Piano/voice and also spends her time choreographing for groups like WCSU Opera department. She spent 3 years as a part of the executive board of the WCSU Acapella Community as Vice President and President of Play It By Ear. Delecia's love of music began at a very early age singing in Choir, Praise team, and as a solo artist at her local church and surrounding churches in the Northeast. Mike holds a Bachelor's of Music Degree and has played guitar for over 35 years. His vast on-stage experience includes rock bands, Top 40, soul band and jazz bands. He has played on stages from Toronto Sky Dome to San Francisco. Mike is an instructor at his own studio in New Fairfield, CT and has been a member of Wooster School Music Dept. for 16 years. Mike has always concentrated on the truest reproduction of whatever material we choose to do, a perfect fit for Bill's Toupee. 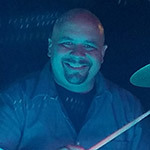 Ricky was most recently with one of The Hudson Valley's most popular dance bands, CloudNYne. He has also played with Boystown, NY Funk Alliance, as well as a number of other area acts. In addition to his role as a lead-singing bass player in the band, Ricky also plays saxophone and guitar. Bob spent 20 years in the US Army as a professional musician culminating in winning the position as the Jazz Knights drummer for the West Point Band. He has performed with and alongside some of the greats like Nell Carter, Billy Cobham, Randy Brecker and Jon Faddis. Bob has also been a featured soloist with the world renowned New York Staff Band of the Salvation Army with performances around the world highlighted by soloing at famous venues such as Carnegie Hall, Royal Albert Hall, and the O2 Arena in London. In addition to the many area bands he has worked with, John has also collabrated with such luminaries as Barry Manilow, Levon Helm, Garth Hudson, Leon Russell, “Skinny” Regan (Peter Frampton), and Steve Burgh (Billy Joel). He has also toured internationally and entertained for the NYC Marathon since 2003. Mike has performed with Nils Loftgren, The Drifters, The Coasters, The Platters, Lowell Fulson, Bo Diddley, Andy Powell (Wishbone Ash), and Mickey & Jan Rooney. Mike has played in and run a number of bands over the last 20, including Blue Law, which has toured Europe in support of their Polygram CD release.